It was hard to prepare this newsletter to send out. Extremely difficult to come up with words to introduce BoomShake's upcoming activities. Because it seems trivial, inconsiderate and incredibly disrespectful when yet another Black body has been gunned down unnecessarily; another act of terrorism has been inflicted on unsuspecting communities; everyday people seeking refuge from violence and war are dehumanized. But I remember that these types of instances are meant to kill our spirits, break our resolutions and destroy our thriving communities. I remember that continuing to play is the tool that I have chosen to stay strong, to keep up the fight, to be alive. That supporting our young BoomShake participants facilitating a workshop at OPC's Play On! Youth Music Festival, a Pan-ethnic showcase of diverse communities of youth in Oakland, is one form of activism (in an Oakland that is currently disregarding people of color and the working class). I remember that working with youth of color teaching drumming is a NECESSARY part of life (for me, for the participant, their family and community). I remember that being in streets with women and trans folks who are healers, teachers, artists, advocates, activists, mothers, friends, lovers, journalists, and organizers in a space that is validating, supportive, rejuvenating, active and creative is IMPORTANT to all of our survival. So I continue, I wake up (impossible as it feels sometimes). I continue, I love (unfair as it seems sometimes). I continue, I play (as unjust as it seems sometimes). That is how I stay alive. And I will not be moved. 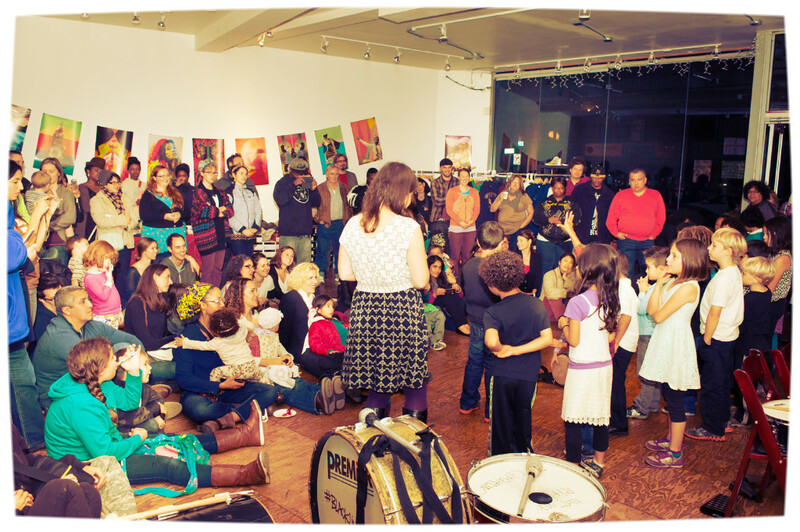 Our adult and elementary school classes are going to get on the streets with the drums and end with a party at Solespace. Follow the music!! Bring a potluck dish to Solespace at 3pm, we will begin with a presentation by our kid drummers, and then continue with a march down to Lake Merrit (via 14th) featuring our different classes. After the march down and back we will end up at Solespace for more music and eating!! Reserve your FREE TICKETS Now!! Play On! OPC Youth Music Fest is a celebration of the work of OPC students, alumni, and their peers, who include some of Oakland's outstanding young musicians . The festival will showcase the youth in PERFORMANCES and WORKSHOPS! OPC invites the community to enjoy a day of CULTURE, MUSIC, AND COMMUNITY-BUILDING! Even though the event is FREE, a TICKET is required to ATTEND! "Near Oakland’s Lake Merritt, the windows of the Trybe Youth and Family Resource Center vibrate with rhythm. 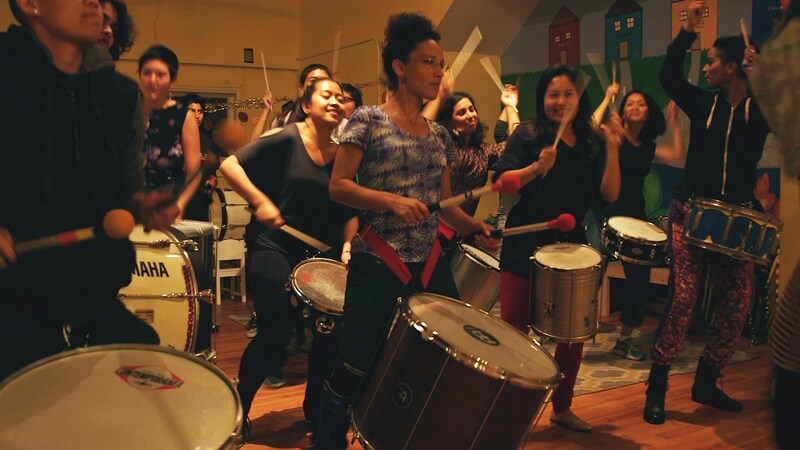 Two nights a week, this space on Park Boulevard throbs with pounding bass drums, tapping snares and clunking agogô bells, as the students of Boomshake Music play through their two-hour lesson. When Norr and Oruche started Boomshake, they came up with a set of class agreements, built on their own experiences as musicians, dancers and community activists. They want their students to be willing to take risks, to make mistakes and to express themselves without having to apologize for it."